We did it again! 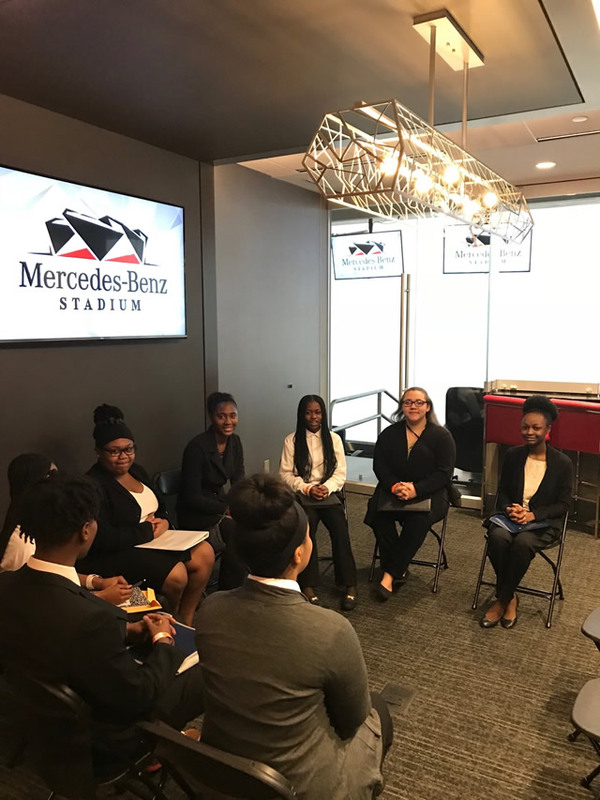 On Wednesday, February 21st, we took 18 new students from our Westside Ambassadors Program in Atlanta to interview for various roles with Mercedes Benz Stadium! Of the 18 that interviewed, 100% of them were hired! More than 80 students throughout metro Atlanta originated in January for our Intangibles© Workforce Readiness training. We are proud of the 18 that managed to show up consistently every Saturday for 4 hours per session, meet all of the demands required of them and navigate the rigors of our training. 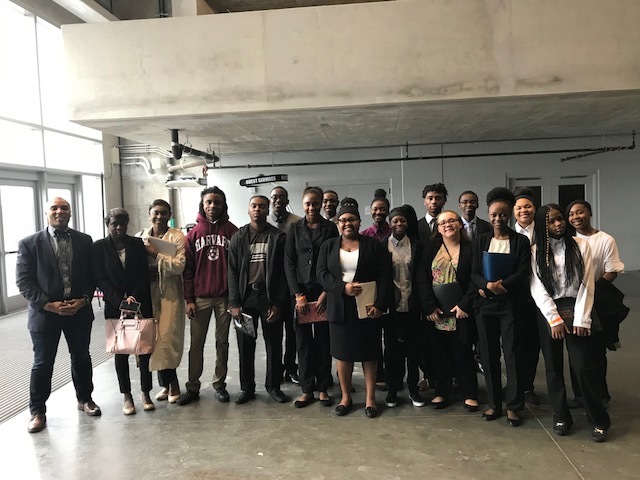 These students have exhibited grit, tenacity and perseverance in the face of some of the most adversarial conditions imaginable. We are certainly not giving up on the other students and we will continue to be a vital resource for them. However, these are professional assignments and our employer partners are looking to fill gaps with competent and ready-to-hire workers. The 18 who accepted offers of employment on Wednesday are ready! While they were already hired in preparation for the professional soccer season with the Atlanta United Soccer team, they will continue training with us every Saturday for the next two months. From there, we will enroll them in our alumni pool for accountability and long-term success purposes. We are grateful for the Arthur M. Blank Family Foundation, Mercedes Benz Stadium, Chick-fil-A and the Chick-fil-A Foundation for granting us the responsibility as the exclusive training partner to recruit and equip students from low-income communities throughout metro Atlanta with the career and life skills necessary for them to find a career path, sustain a career path and advance in the workforce long-term.